Professor Emmanuel Anati is President of ATELIER, President of CISPE (International Centre for Prehistoric and Ethnologic Studies) and Chairman of UISPP-CISENP (Union International des Sciences Prehistoriques et Protohistoriques –International Scientific Commission “The Intellectual and Spiritual Expressions of non-literate societies”. He is founder and President (hon.) of Centro Camuno di Studi Preistorici in Capo di Ponte, Italy. He has been Professor of Prehistory at Tel-Aviv University, Israel and Professor Ordinarius of Palaeo-ethnology at the University of Lecce, Italy. He is the founder of the International Committee on Rock Art (CAR) of the International Council on Monuments and Sites (ICOMOS). For nine years he served as the first Chairman of the Executive Board. His main scientific interests are the art and religion of prehistoric and tribal cultures. He has conducted research in Europe, the Near East, Africa and other regions. Anati’s work in Valcamonica, where he founded and heads the Centro Camuno di Studi Preistorici, has led to UNESCO’s inclusion of the rock art of this Alpine valley in its list of World Cultural Heritage. His research project in the Negev desert, Israel, is world renown for the discovery of a holy mountain with numerous ancient sanctuaries which is likely to be the Biblical Mount Sinai. On behalf of UNESCO and various governments he has carried out research and has served as consultant for the creation and development of archaeological reserves and parks, major exhibitions and other field projects. Anati has edited several prestigious publications. 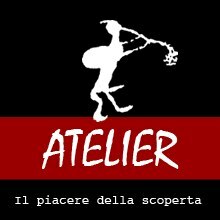 He is the director of the periodical, “World Journal of Prehistoric and Tribal Art” (BCSP) And of “Atelier publishing”. He headed the series “The Footsteps of Man” for the Cambridge University Press, and the series “Le Orme dell’Uomo” for Jaca Book, Milan. 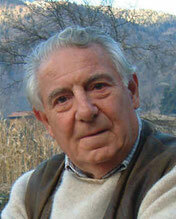 He has written over 70 volumes and numerous monographs for leading publishers in Europe and America. Works by Anati have been published in over twenty languages. Emmanuel ANATI è presidente di ATELIER, presidente del CISPE (International Centre for Prehistoric and Ethnologic Studies) e fondatore e presidente onorario del Centro Camuno di Studi Preistorici, è stato professore di Preistoria all'Università di Tel Aviv e Ordinario di Paletnologia all'Università di Lecce. Ha insegnato e tenuto corsi in università ed istituti superiori di ricerca in Francia, Inghilterra, Israele, Stati Uniti e Canada. Ha compiuto missioni di ricerca, spedizioni e consulenze per conto dell’UNESCO e di vari Governi, per lo studio di siti preistorici e di arte rupestre nonché per la programmazione e la creazione di riserve e parchi archeologici, di musei e di altre operazioni concernenti il patrimonio culturale. Ha organizzato congressi e seminari internazionali sull'arte preistorica tribale, progettato e realizzato mostre. Le sue ricerche in Valcamonica hanno portato l’arte rupestre di questa valle alpina nell'inserimento, come primo titolo italiano, nella lista “Patrimonio Culturale Mondiale” dell’UNESCO. Ha redatto numerose pubblicazioni di prestigio. È direttore delle “Edizioni del Centro” e del periodico BCSP, “World Journal of Prehistoric and Tribal Art”; ha diretto per la Cambridge Univ. Press la collana “The Footsteps of Man” e per la Jaca Book, la collana “Le Orme dell’Uomo”. Ha collaborato a numerose riviste tra cui “Life”, “Scientific American” e “Sunday Times”. Ha scritto e pubblicato oltre 70 volumi e numerose monografie presso prestigiosi editori in Europa e America. Opere di Anati sono state pubblicate in oltre 20 lingue.